Rolex is a universal symbol of wealth and success. While many of the timepieces in the brand’s catalog require a serious investment, there are pre-owned options available that will appeal to collectors with an entry-level budget. 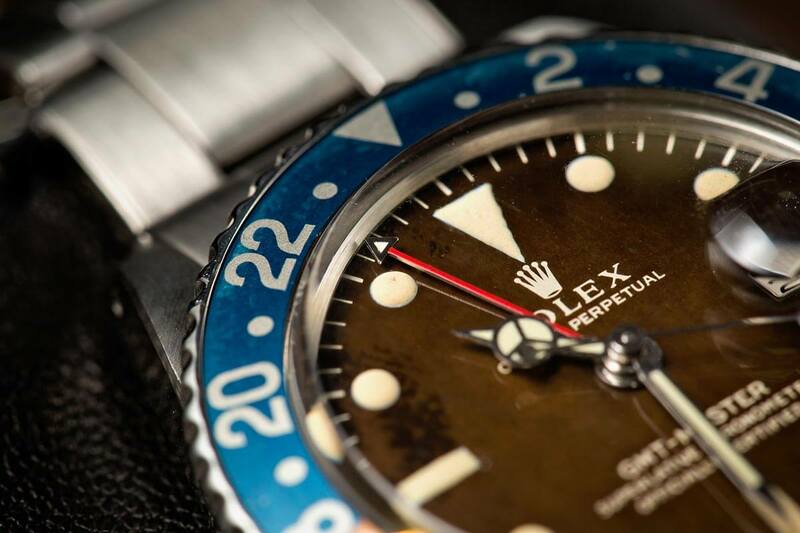 Today, we will explore a few of the most affordable Rolex watches on the secondary market like Bob’s Watches. The Air King came to market the same year as the iconic Datejust in 1945. Featuring a simpler dial and movement than the Datejust as well as a modest feature set, many collectors tend to overlook this model when shopping for an affordable Rolex. However, as a member of the Rolex family, the vintage Air-King 5500 brings with it the sophisticated and classy style that is often associated with the brand as well as the Rolex logo on the dial that many collectors seek. The reference 5500 is also incredibly easy to wear, featuring a 34mm case and a stainless steel finish that is suitable for just about any occasion. While it may not have the same panache as a timepiece in precious metal or with complications on the dial, the Air-King is just as memorable as any Rolex dress watch, and you certainly can’t argue with the affordable price point. Similar to the Air-King, the Oyster Perpetual offers a modest feature set and a time-only dial. Introduced earlier than the Air-King, the Oyster Perpetual is a bit more familiar among novice collectors and tends to be a popular choice when shopping for an affordable timepiece. The case is hermetically sealed by process of screwing the waterproof crown into the case and protecting it from depths of up to 100 meters. The cheapest options on the market are vintage stainless steel models, such as the ref. 6426, which is available for under $3,000. If you prefer newer model Rolexes, another reference to consider is the Oyster Perpetual ref. 114200, which offers a contemporary feature set and a price point that typically ranges from $4,300 to $5,000. If a gold watch is more your thing, the two-tone Oyster Perpetual Datejust ref. 16233 might appeal to both your style and your wallet. The ref. 16233 brings the luxurious style of a gold Rolex to the table without appearing too flashy or commanding a steep price. Collectors will also appreciate the classic Datejust style that it offers in the form of a 36mm Oyster case, a gold fluted bezel, and a jump date on the dial. Depending on the particular reference, the case is worn on either an Oyster or Jubilee bracelet, with the latter being among the most desirable options. A typical asking price for a Datejust ref. 16233 is around $4,500. No Rolex list would be complete without the addition of at least one sports reference. Among the most affordable options on the secondary market is the Explorer, which features a smooth bezel, as opposed to the rotating bezel that is more commonly found on sports watches, a brushed stainless steel finish, and a time-only dial. The dial reads similar to a traditional Rolex sports watch with the addition of luminous Mercedes hands and hour markers while also offering the Explorer’s classic 3, 6, and 9-hour Arabic markers. The Explorer was initially developed as an adventurer’s timepiece and features a tough exterior that can withstand most extremes, allowing it to maintain a reliable reading and hold its value well. As far as tool watches are concerned, the ref. 14270 is a reasonable choice with prices starting around $4,595. Last, but not least, the Rolex Submariner 16610 is an all-time classic. With such an iconic design and a price tag that won’t kill you, this dive watch makes it to the list. The Submariner line debuted in the 50’s but the majority of the aesthetic has not changed. The Submariner 16610 is easy to wear and can be worn anywhere from a black tie party to a summer barbeque with the neighbors. This Submariner starts at $6,595. When shopping for a pre-owned Rolex online, it’s important to purchase from a reputable website that offers some form of guarantee that the timepiece you are buying is genuine. BobsWatches.com is an excellent choice to consider as they are in excellent standing with the watch community and boast one of the largest, ready to ship inventories on the market.